Clinically proven to absorb shock, cushion painful heels and reduce stress on the Achilles tendon, these unique heel cups are recommended for people with Achilles tendonitis or general heel pain. 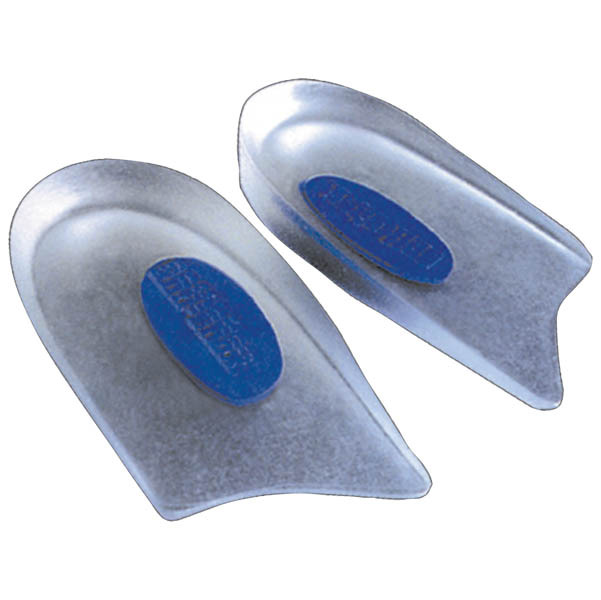 Recommended for those with “flat feet”, these unique heel cradles incorporate a medial post to gently realign the rearfoot while absorbing shock and cushioning painful heels. Soft Gel plugs provide extra relief, and medical grade PLATINUM Gel helps provide immediate comfort for heel pain.